Well here's an interesting turnabout. Harmonix and MTV are partnering with the company that brought us Lumines and Rez to bring social rhythm and music game Rock Band to Japan, the birthplace of rhythm and music games. Announced this weekend during the MTV Video Music Awards in Japan, the new game will feature all of the gameplay of Rock Band with added Japanese elements, assets, and most importantly - music. As long as it works with all the standard North American peripherals I plan on importing the living hell out of this game. 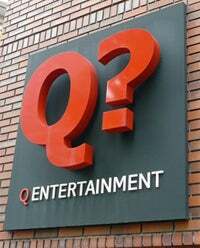 And what better company than Q Entertainment to handle the localization? I'm hoping this alliance between Harmonix and Q is only the beginning of what could be a very fruitful relationship for the developers and gamers alike. Hit the jump to read the full press release while I queue up my J-pop Winamp playlist and get incomprehensible for a bit. CAMBRIDGE, Mass - June 2, 2008 – Harmonix Music Systems, the leading developer of music-based games, and MTV Games, a part of Viacom's MTV Networks (NYSE: VIA, VIA.B), announced today that they will team up with Q Entertainment, a leading Japanese music game designer, to bring the best-selling music videogame Rock Band to Japan. The two studios will work together to develop the title, marking the first US-originated rock music game to be heavily localized for the Japanese market. The game will feature Japanese musical acts as well as other localized assets. benefit from Q Entertainment's experience designing progressive and engaging games many of which have a heavy focus on integrating music elements into gameplay. Since its founding in 2003, Tokyo based Q Entertainment has become a leader in rhythm oriented titles, including the critically acclaimed music and luminary action puzzle game series Lumines,and the recently released Extend Every Extra Extreme (E4) and Rez HD for Xbox Live. Today's announcement was also featured Saturday at the 2008 MTV Video Music Awards - Japan, where a Rock Band trailer was presented. The US-version of Rock Band was also prominently featured backstage and at the afterparty, giving Japanese attendees a taste of what's to come in the newly announced title. rock to heavy metal and punk. Rock Band is a true music platform, with over 12 million songs sold as downloadable content since its initial release. There are currently over 140 songs available for download in the Rock Band Music Store and Harmonix continues to release new music every week. Since its North American release in 2007, Rock Band has garnered over 40 awards including Game Critics Award: Best of Show E3 2007and three awards at The 11th Annual Interactive Achievement Awards including Outstanding Innovation in Gaming, Family Game of the Year, and Outstanding Achievement in Soundtrack. For more information on Rock Band and Harmonix Music Systems please visit www.rockband.com and www.harmonixmusic.com .